A new report looks at child protection services in North Dublin. GARDAÍ HAVE SAID that investigations into physical abuse of children in North Dublin were delayed by Tusla, the Child and Family Agency. The revelation was contained in the Health Information and Quality Authority’s (Hiqa) report of its inspection of the child protection and welfare services in the region. Members of An Garda Síochána outlined that there had been some issues regarding notifications of alleged physical abuse being received after considerable delay which impeded the Garda investigation. The exact details of the cases have not been made public. Lorna Kavanagh, Tusla Area Manager in North Dublin, said: “The report noted that members of An Garda Síochána outlined that there had been some issues regarding notifications of alleged physical abuse being received after considerable delay which impeded the Garda investigation. As also stated in the report, Garda feedback indicated that the response to child protection and welfare service was impressive in the last 12 months and that the increased number of meetings at management level had benefited both agencies with a strengthening of communication and information sharing which contributed to the management of cases. Inspectors saw evidence of this in case records. Kavanagh added that the report recognises services were “delivered effectively and that children at greatest risk were prioritised”. Waiting lists: A waiting list audit has been completed and children and families have been prioritised for allocation based on level of need. All high risk cases are given immediate priority of allocation. This will continue to be reviewed on a six to eight week basis. Staffing: Six additional social worker posts will be recruited from the new social work panel being formed in June 2015. This will significantly impact on current waiting lists for services. Family support plans: An audit of family support plans is underway to address issues such as information deficits and adherence to review time frames. In addition, training on family support planning is being rolled out. 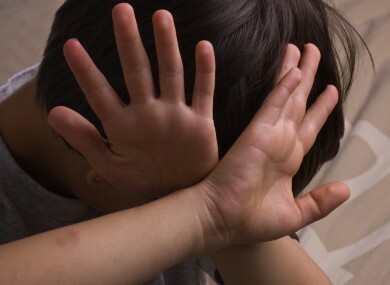 Allegations of retrospective abuse against adults: Tusla said North Dublin has always prioritised the allocation of retrospective cases where there is a known or immediate risk to current children, by having a dedicated Team Leader specialising in this area. In the 18 months preceding this inspection, 130 retrospective abuse cases were dealt with and closed. A dedicated social worker is now in post to deal with all priority retrospective abuse cases. Email “Gardaí claim child abuse investigations were badly delayed by Tusla”. Feedback on “Gardaí claim child abuse investigations were badly delayed by Tusla”.